Mineola, N.Y. : Dover Publications, c2006. Rosa was amazingly prescient. .She predicted that imperialists would continue to impose their style of democracy in the 3rd world where the rich are the only ones who get freedom. That they would continue to destroy whoever gets in their way: ie. military /CIA coups. That even in the 1st world, capitalism would capitalize on anything to pick apart our rights. Homeland security, the war on drugs, whatever excuse they can come up with. Liberals (blair, obama are no different and will we ever learn?) are often equally as guilty. 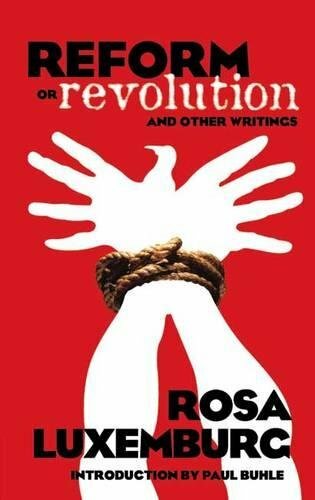 Rosa also writes of the use of credit to expand the working class’s purchasing power. She heavily criticizes this idea, of credit as an “adaptation” of capitalism, as a boon to the working class. Today, as we suffer through this grand world crisis, we can see how credit has abused the working class. Banks gave credit to those who had no business getting credit, knowing full well that they wouldn't be able to pay.